Luxury Belgian White Chocolate Buttons in a 1kg bag. These large chocolate buttons taste delicio.. 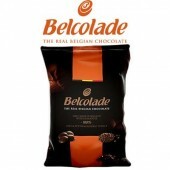 Luxury Belcolade Belgian Milk Chocolate Buttons in a 1kg bag. These chocolate chips taste delicio.. 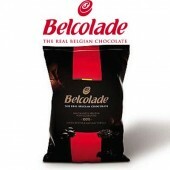 Luxury Belcolade Belgian Dark Chocolate Buttons in a 1kg bag. These chocolate chips taste delici.. Luxury Belgian Ecuador Extra Bitter Chocolate Buttons in a 1kg bag. 71% The exceptionally refined.. 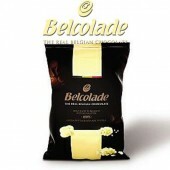 Luxury Belcolade Belgian White Chocolate Buttons in a 15kg bag. Only €6.33 per kg! These choc.. Luxury Belcolade Belgian Milk Chocolate Buttons in a 15kg bag. Only €6.33 per kg! These choco.. Luxury Belcolade Belgian Dark Chocolate Buttons in a 15kg bag. Only €6.33 per kg! 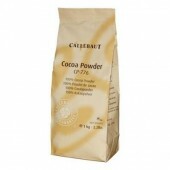 These choco..
Callebaut Belgian Chocolate Cappuccino Callets This delicious chocolate has everything to su..
Callebaut Belgian Caramel Chocolate Callets Caramel Callets combine the richness of Callebau..
Callebaut Belgian Lemon Chocolate Callets Lemon Callets are made with Callebaut Belgian white cho..
Callebaut Belgian Orange Chocolate Callets A great chocolate to sign off your creations with a su..
Callebaut Belgian Strawberry Chocolate Callets Strawberry Callets are made with Callebaut Belgian..
Callebaut Belgian Gold Chocolate Callets Expertly crafted and composed from a fine selection ..
Callebaut Belgian Ruby Chocolate Callets These chocolate callets have an intense sensorial de..
Callebaut Belgian White Chocolate Bake Stable Chunks Ready for some creamy chunkiness in yo.. 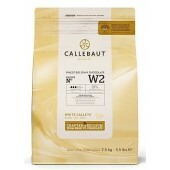 Luxury Callebaut Belgian White Chocolate Chips The iconic all-round white chocolate that always .. Luxury Callebaut Belgian Milk Chocolate Chips Round and balanced taste with perfect marriage of .. 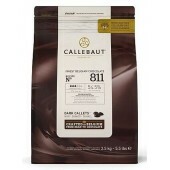 Luxury Callebaut Belgian Dark Chocolate Chips Like all Finest Belgian Chocolates, it is made.. Luxury Callebaut Belgian Dark Chocolate Chips When dark and intense is what you're looking f..
Callebaut offers a selection of high-quality semi-finished products that can be used as ingredients ..
Cacao Barry Extra Brute Red Brown 100% Cocoa Powder Luminous and intense red, very flavourf..
Van Houten Robust Red Cameroon Cocoa Powder - The original Dutched Cocoa Luminous and intense red..